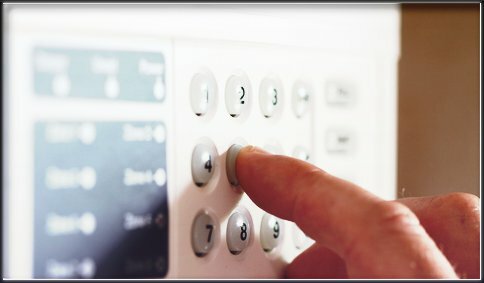 After having discussed sirens and sensors, in this third blog we analyse the last two elements that make up an alarm system: the dialer and the keypad. Let’s look at their use and also some practical suggestions which may seem trivial, but which can actually be critical to secure one’s home. The dialer is a component which is often highly publicised, because it allows you to be notified by phone when the alarm is triggered. The dialer allows you to be informed in real time but, if you are away from the place under attack, it may be necessary to also warn, in sequence, other people and/or the police. Its usefulness increases with the amount of information it can provide. This makes it possible to understand what is actually happening and to see if it is a real emergency or not. 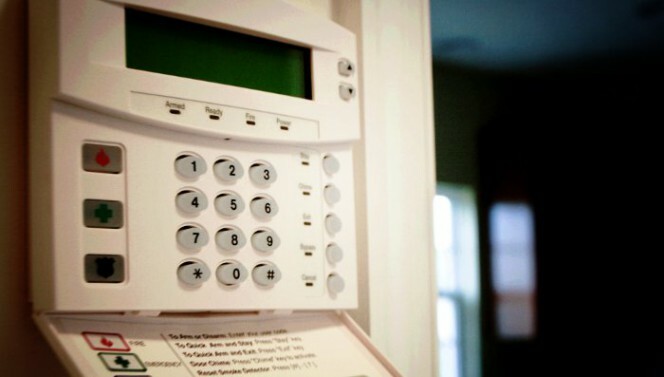 It is therefore essential that the dialer is not only programmable in order to warn various people in a predetermined sequence, but is also able to provide specific information about rooms, times and type of sensors which have been triggered. For example, if there is a storm and you receive an alert that all the vibration sensors on the windows have triggered simultaneously, it can be concluded that it is probably not an intrusion, but, for example, the effect of loud thunder. Or, if a cat has been left in a room and only the sensor for that room trips repeatedly, it is probably not a thief, but the pet animal. On the other hand, there are sequences of alerts which clearly indicate that there is an intrusion in progress. For example, if the alarm of the perimeter sensors is triggered first, then that of the entrance door and then that of hall. There is also other potentially useful information which a good dialer is able to provide: for example, relating to voltage drops on the network, inactive zones, sensors momentarily not in contact with the control centre etc. From a technological point of view, GSM dialers are preferable to those connected to a fixed telephone, because the telephone wire, which is generally also visible on the outside of the dwelling, could be cut with greater ease. 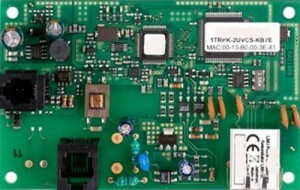 Example of a GSM dialer module. In the case of the keypad, care must be taken not only in the choice of component, but also its location. Keypads are often seen located outside, next to the entrance, or in positions where the code entered can be easily observed, both from a distance using a telescope or binoculars, or by someone standing nearby. The keypad must, on the contrary, be located inside and in a position such as to be easily accessible to the user, but also out of sight of potential thieves. Obviously, as in all cases where we talk about access codes, it is important to use personal codes, that is, one for each person who must use the alarm, and choose them so that they are not obvious: better to avoid dates of birth and weddings! Example of entering a secrete code on a traditional keypad. Example of entering a secrete code on a “touch” keypad. As regards the choice of the physical keypad, rather than its appearance, the legibility of the keys must be considered as well as their construction: it is better to avoid keys that tend to come off, wear out or discolour with ease. 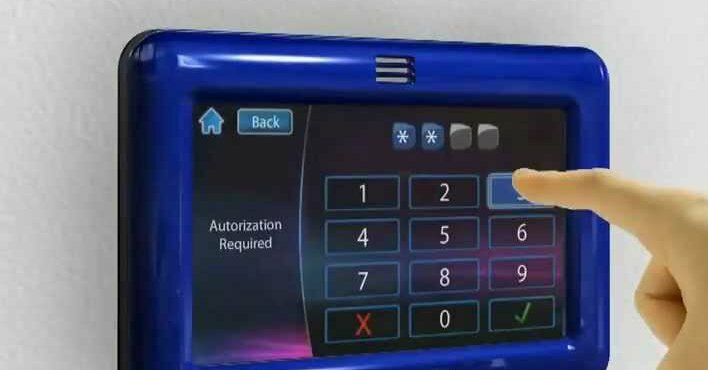 In any case, it is always worth regularly changing the access code used, otherwise, over time, the buttons pressed repeatedly tend to become discoloured and / or worn differently than the others, making it easy for thieves to potentially identify the code. 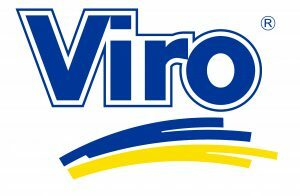 This entry was posted in No category and tagged home, technology, tips on 24 November 2015 by calessandrini.